With Pricehunter, you can compare prices online in order to find the offer that most fulfills your requirements "nikon binoculars". Based on your search criteria "nikon binoculars", our price search engine found the lowest prices in 14 categories. Lowest prices found in 9 different online shops, including Photospecialist.co.uk, wexphotovideo.com, johnlewis.com and Ukdigital.co.uk. 2 different brands offer the product - Nikon and Bresser, that you were looking for. 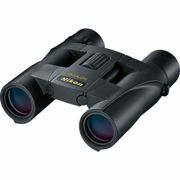 Furthermore, other costumers also looked for the following product the binoculars, 10x Binoculars and which Binoculars.